We're changing the way people buy tires — and YOU can get a cut of the profits! Everyone needs new tires at some point. Yet tires are one of the few remaining products that people don't routinely purchase online. At TireBuyer, we see this as a massive opportunity. Join our affiliate program and earn over 6% on sales of automotive tires and wheels within 90 days of the initial visit. With an average order value of more than $500, your commissions can quickly add up! We've been selling tires and wheels online since 2009, and we've been in the tire business for more than 75 years. Our website targets busy, affluent online shoppers who want a convenient, hassle-free way to buy tires and wheels. TireBuyer's affiliate program is designed to add interesting content to your site, engage your visitors, and lead them to a purchase from the industry experts. How can you benefit from the TireBuyer affiliate program? The TireBuyer.com Affiliate Program is without a doubt one of the very best in the space. The team is responsive and great to work with. And importantly, we refer our valued visitors with confidence knowing that they'll have a positive customer experience. We work with a number of affiliate programs and TireBuyer.com is definitely top tier. Their ad creatives are very attractive, they run current manufacturer rebates, and have a great commission rate. We also take advantage of their merchandiser product feed which allows us to create ad links that are product specific, and their customer service is bar none. Easy to get a hold of, and answer any questions we have. 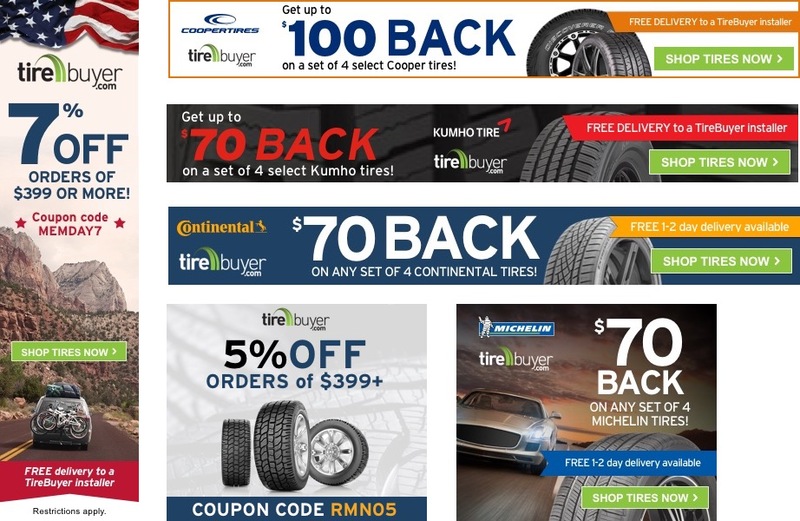 TireBuyer.com is one of the most reliable partners of ours for the last 7+ years. I find their team and the highly professional level of customer service are in my opinion the key factors of their success. The client support offered by the team is also outstanding. The TireBuyer.com team is amazing. They are informed, engaged, collaborative, and very responsive. The program and site are cutting edge and they are always bringing new ideas and opportunities to their partners and customers. 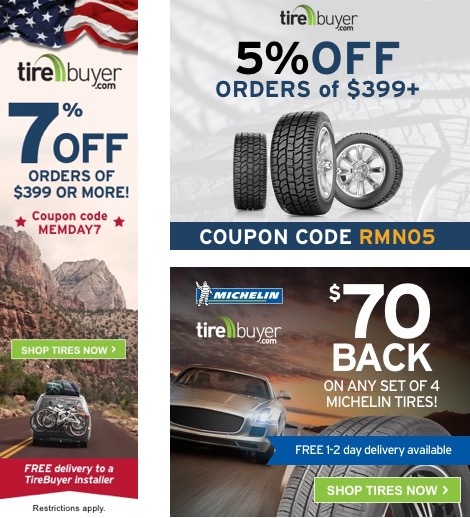 TireBuyer.com is a fantastic partner. They're proactive, curious, and creative with solutions – we look forward to growing our partnership in the future. TireBuyer is the best place to buy tires online. We show you the best products for your car or truck, and we'll deliver them fast and FREE, right to a trusted TireBuyer installer near you. Your satisfaction is guaranteed.